Why does outgoing email fail with a "504 Gateway Timeout" error? 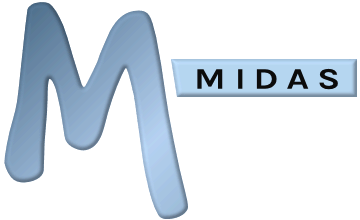 MIDAS is capable of sending email via two different methods; on systems where "Sendmail" is available, this option allows sending of email directly from the server where your MIDAS system resides. The second option available to all is "SMTP", whereby email is sent via your organization's own SMTP server/relay. If your MIDAS is configured to send email via the SMTP method, and your users experience "504 Gateway Timeout" errors when using MIDAS and the message "The gateway did not receive a timely response from the upstream server or application", this indicates that either your SMTP server settings are incorrect, the connection to your SMTP "timed out", or the connection was actively refused by your SMTP server. To resolve, firstly, please check your SMTP settings in MIDAS via MIDAS Admin Options → Manage MIDAS → Email. Next, please check your SMTP's servers own logs, as these should indicate failed connection attempts and the reason they failed. In most cases, the cause is that the SMTP server's security/firewall has been configured to reject/block external connections. Therefore, simply adjusting your SMTP server's security/firewall settings and "white listing" the IP address of the server where your MIDAS scheduling system resides will resolve the issue. If you're a "cloud hosted" customer and are unsure of the IP address of the server where your hosted MIDAS system currently resides, simply go to Statistics → MIDAS where you'll find the necessary information. For our "cloud hosted" customers, the IP address of the server where your hosted MIDAS resides may occasionally change, however we'll always endeavor to notify affected customers in advance where practically possible.